Saying goodbye to Nancy Reagan, Trump's latest endorser, migrant haircuts and more of Friday's best photos. 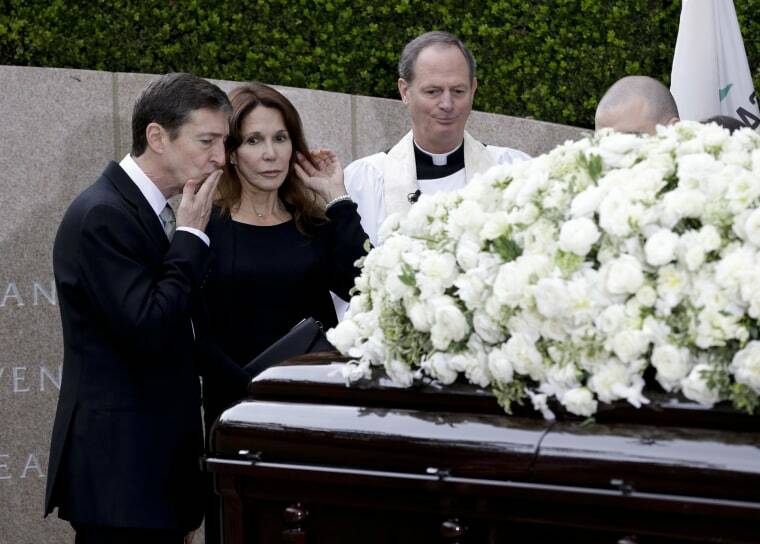 Patti Davis, center, and Ronald Prescott Reagan, left, pause at the casket during a graveside service for Nancy Reagan at the Ronald Reagan Presidential Library in Simi Valley, Calif.
President Barack Obama and Austin, Texas' mayor, Steve Adler, right, greet patrons during an unannounced stop at Torchy's Tacos in Austin. 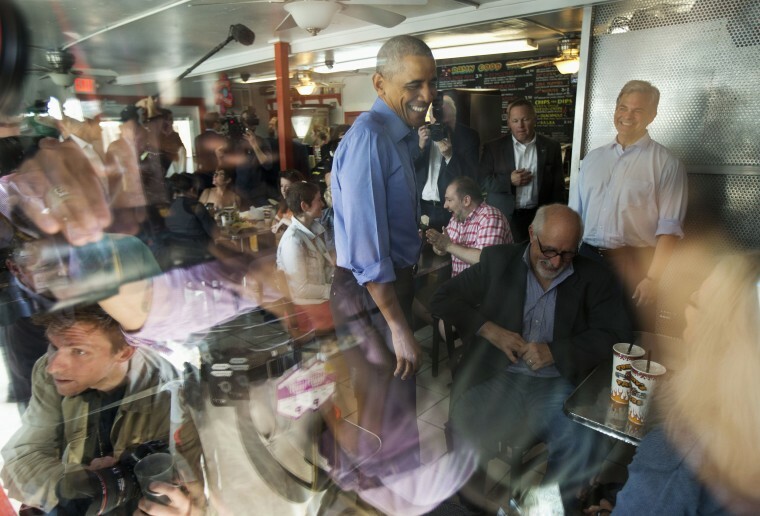 Obama traveled to Austin to speak at the South by Southwest Festival (SXSW) and attend two Democratic National Committee fundraisers. 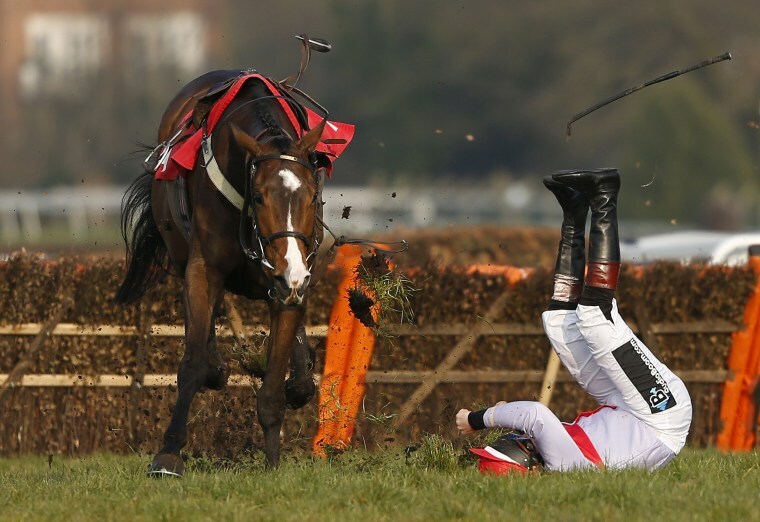 Jamie Moore is unseated from Le Boizelo at The Team Army Handicap Hurdle Race at Sandown racecourse in Esher, England. 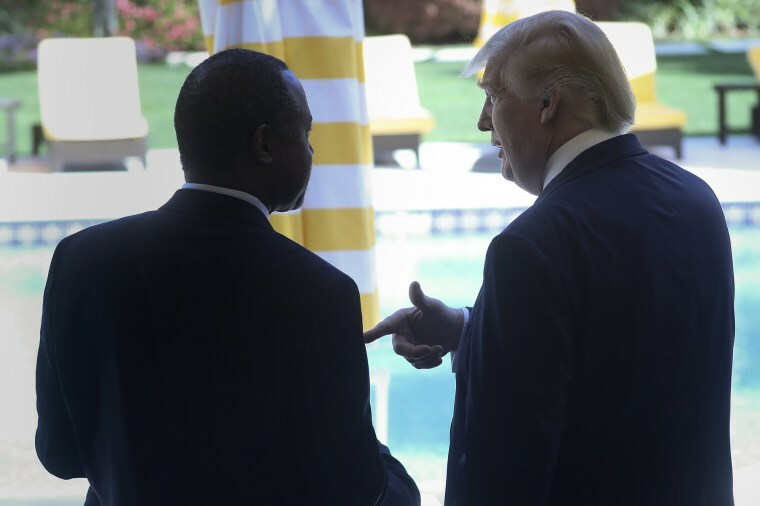 Republican presidential candidate Donald Trump, right, speaks with former Republican presidential candidate Ben Carson after receiving Carson's endorsement at a campaign event in Palm Beach, Florida. 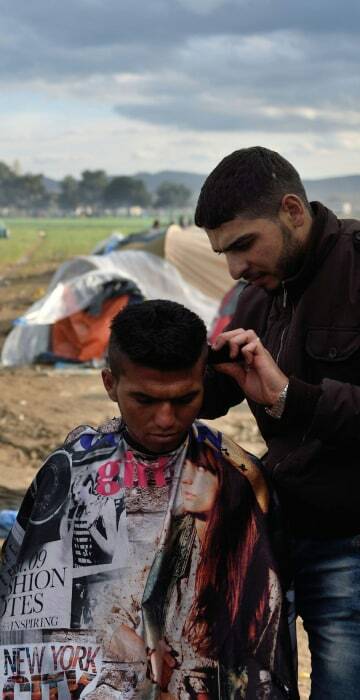 Refugees receive haircuts in a makeshift camp at the Greek-Macedonian border, near the Greek village of Idomeni, where thousands of refugees and migrants are stranded by the Balkan border blockade. More than 14,000 mainly Syrian and Iraqi refugees, including many children, are camped out at the squalid camp, where they have been stranded by Skopje's decision to close the frontier. Macedonia has not let anyone enter since March 7. 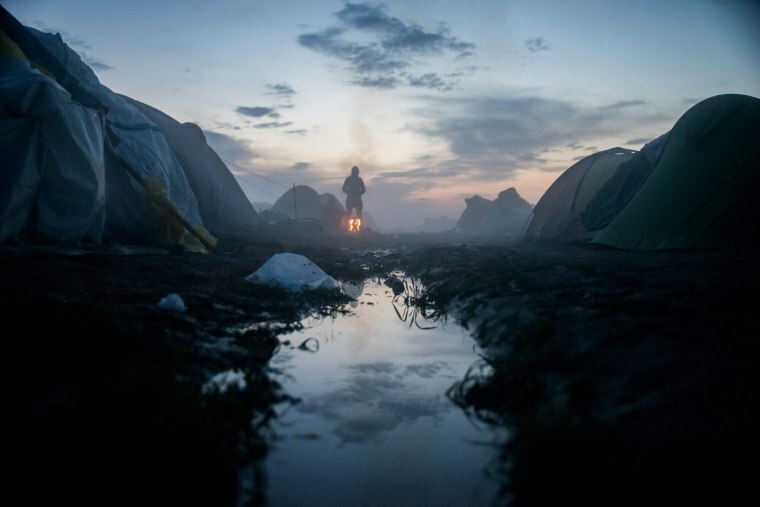 A woman stands by a fire at sunrise in a transit camp for migrants and refugees on the Greek-Macedonian border near Idomeni, Greece. 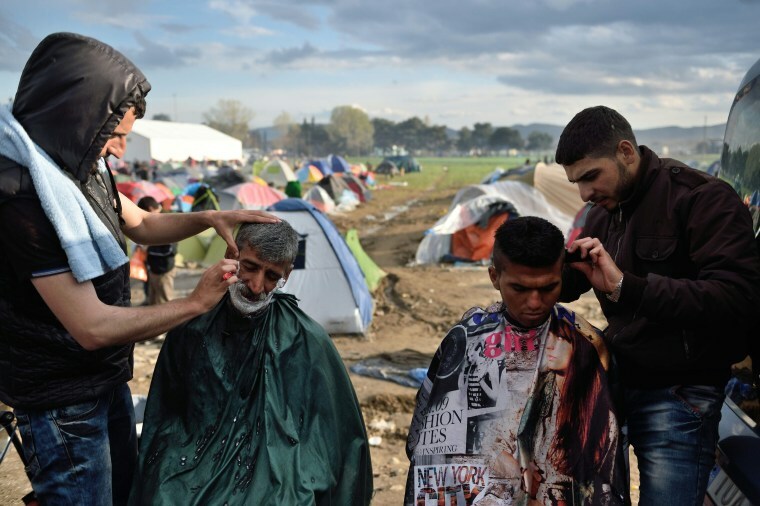 Thousands of migrants intending to reach western European countries are stranded in Greece as Slovenia, Croatia, Serbia and Macedonia have introduced special measures restricting migrants entry into their countries. 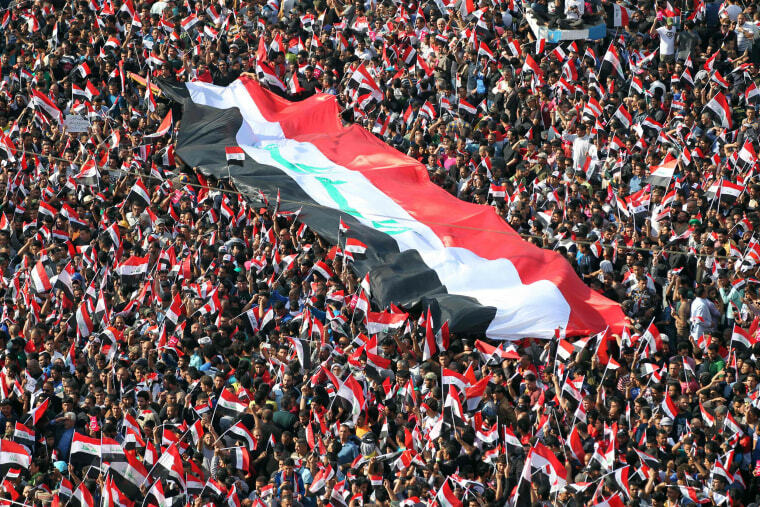 Supporters of Iraqi Shiite cleric Moqtada al-Sadr wave national flags during a demonstration calling for governmental reform and elimination of corruption on in Baghdad's Tahrir Square. 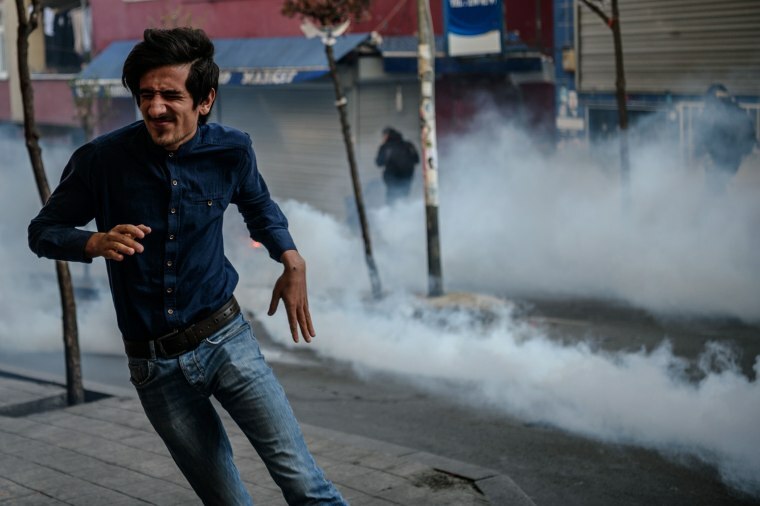 People run away from tear gas fired by Turkish riot police Instanbul's Okmeyani district as people gathered to mark the second anniversary of the death of the youngest victim of the Gezi Park protests. Berkin Elvan was 14 when he was hit by a police teargas canister in Istanbul on June 16, 2013, as anti-government demonstrations swept Turkey. 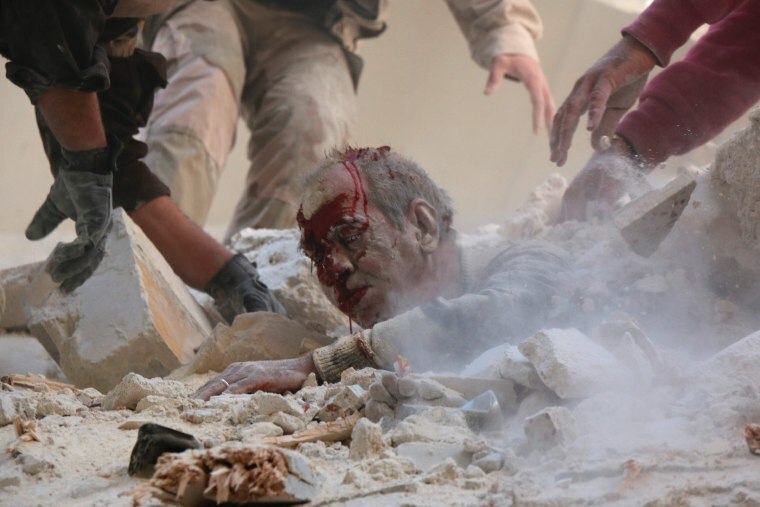 Syrian rescue workers try to pull a man out from under the rubble of a building following a reported air strike on the rebel-held neighborhood of Salhin in the northern city of Aleppo. 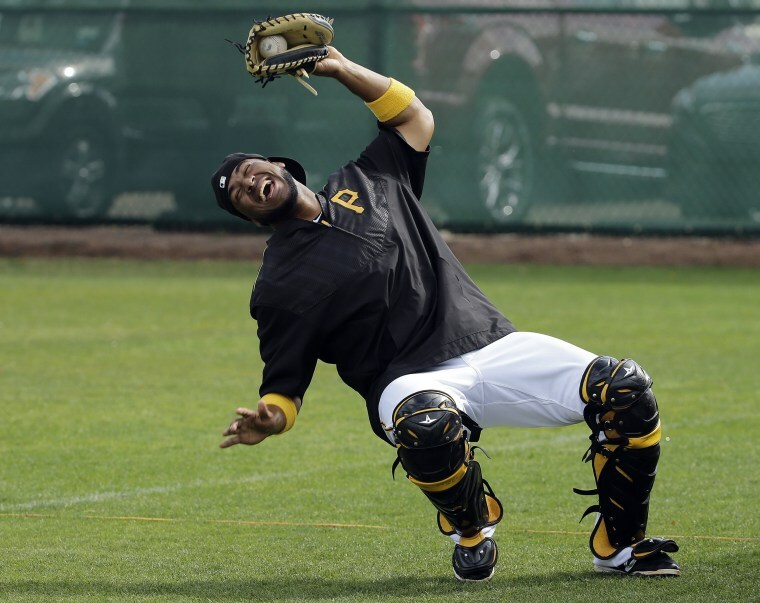 Pittsburgh Pirates catcher Elias Diaz laughs as he catches a pop-up during drills before a spring training baseball game against the Tampa Bay Rays in Bradenton, Florida.